It's the stillness of the bush and the flow of the waters that allows you to relax, unwind and breath. Situated near Mvubu River Lodge, with a breathtaking view over the Pongola river, where the elements of beauty and nature come together. You can choose form a variety of professional treatments while enjoying the wildlife and nature. Water holds the symbol of purification as it washes away pain and disease. Hydrotherapy is a water therapy conducted in a warm bath with jets at varying angles to massage the body. Designed to accommodate the contours of the body, the jets deliver a powerful, pummeling massage. The hydrotherapy treatment is extremely therapeutic and relaxing, whilst at the same time kick starts the metabolism and begins detoxification. The steam room holds the secret to detoxification and relaxation. It increases your blood and lymphatic circulation, resulting in an increased oxygen supply to the cells and the removal of waste products, while improving the skin colour, tone and elasticity. An anti-ageing treatment specially for mature skins. Renewed radiance and firmness appears. Every aspect of the eye contour is condsidered in this relaxing treatment. The eyes appear wider, younger and sparkle! This ancient massage method ensures intense relaxation of the mind and body! A signature treatment especially for you as it incorparates a blend of aromatherapy oils and a range of techniques to ensure optimum relaxation and tension release! An absolute must for anyone on a slimming or detox program. This massage concentrates on areas of blockages assisting the removal of toxins, as well as boosting a sluggish metabolism. A dynamic form of Eastern massage that concentrates on healing the body from the insidewhile applying pressure techniques from the outside. The ultimate stress buster, as this treatment pays attention to key tension areas located in the shoulders, neck, scalp and face. If you have 30 minutes to spare, this treatment will leave you totally invigorated for the rest of your day! Bookings can be made telephonically. 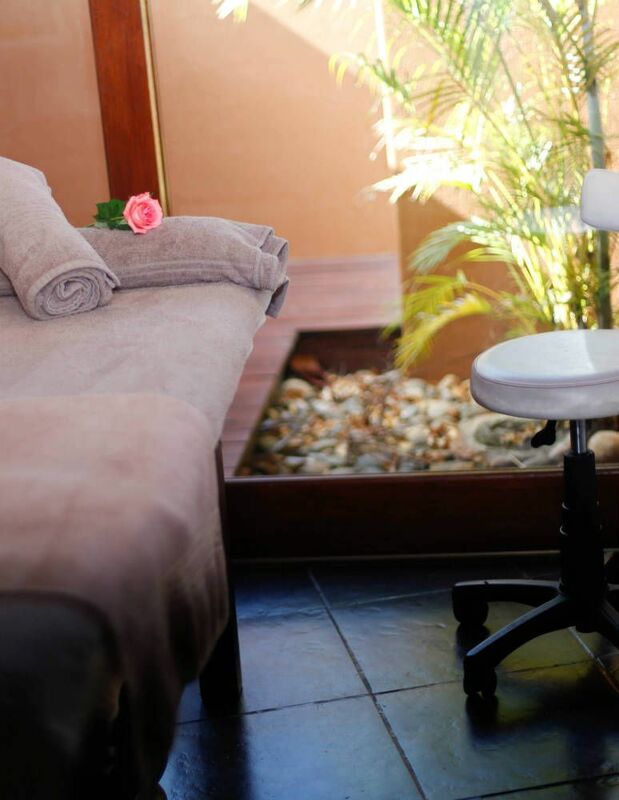 Our treatments are carefully planned to accommodate the needs of each and every guest. We therefore kindly request that you arrive at Mvubu Spa 15 minutes prior to your treatment to allow time for registration and changing. Late arrivals will be finished within scheduled treatment time while the fee will remain unchanged. Should you wish to change or cancel an appointment please contact us within 24 hours prior to your treatment, as no shows will be charged a 50% cancellation fee. Rates subject to change without prior notice.